Although the epidemiology of mental illnesses is innately complex, there have been many strides in the diagnosis and treatment of chronic mental illnesses as more research is being conducted in the field. As more information becomes available, mental health professionals are able to develop more effective plans for caring for their patients. Chronic Mental Illness and the Changing Scope of Intervention Strategies, Diagnosis, and Treatment examines emergent research on the identification and epidemiology of various mental illnesses. 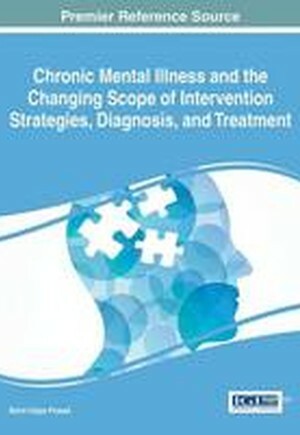 Featuring information on the prevalence of the disease, psychopharmacological advancements, and strategies for the management of chronic mental illnesses, this book is ideally suited for students, psychiatrists, psychologists, neurologists, social workers, rehabilitation therapists, and other health professionals interested in learning more about shifting practices in the mental health sector.